The phytoplankton is at the base of the plankton food web in large parts of oceanic "deserts" such as the South Pacific Ocean, where nitrogen sources limit activity. Mesocosms were fertilized with phosphorus to stimulate diazotrophy (atmospheric N2 fixation). 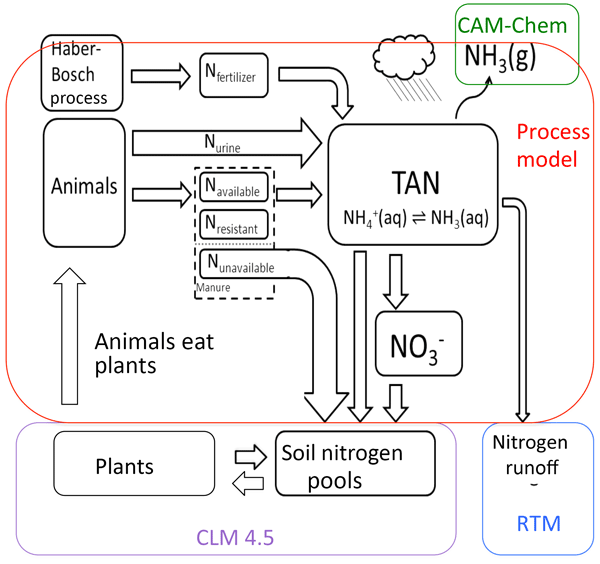 Mostly diazotroph-derived nitrogen fuelled the heterotrophic bacterial community through indirect processes generating dissolved organic matter and detritus, such as mortality, lysis and grazing of both diazotrophs and non-diazotrophs. Particle fluxes at the Cape Verde Ocean Observatory in the eastern tropical North Atlantic for the period December 2009 until May 2011 are discussed based on deep sediment trap time-series data collected at 1290 and 3439 m water depths. The typically open-ocean flux pattern with weak seasonality is modified by the appearance of a highly productive and low oxygen eddy in winter 2010. The eddy passage was accompanied by high biogenic and lithogenic fluxes, lasting from December 2009 to May 2010. We reconstruct spatiotemporal variations in biomass burning since the Last Glacial Maximum (LGM) using the Global Charcoal Database version 3 (including 736 records) and a method to grid the data. LGM to late Holocene burning broadly tracks global and regional climate changes over that interval. Human activities increase fire in the 1800s and then reduce it for most of the 20th century. Burning is now rapidly increasing, particularly in western North America and southeastern Australia. Maize production on steep slopes causes erosion. Where the eroded material ends up is not well understood. This study assessed transport of sediment in mountainous Vietnam, where maize is cultivated on slopes and rice is cultivated in valleys. Per year, 64 tons per hectare of sediments are brought into the rice fields and 28 tons of those are deposited there. The sediment fraction captured by the paddies is mostly sandy, while fertile silt and clay are exported. Upland erosion thus impacts rice production. In the framework of the VAHINE project, we investigated the spectral characteristics and the variability of dissolved and particulate chromophoric materials throughout a 23-day mesocosm experiment conducted in the south-west Pacific at the mouth of the New Caledonian coral lagoon. We found that the dynamics of CDOM and particulate matter absorption were strongly coupled with those of cyanobacteria Synechococcus spp. and bacterial production. This research reveals new insights into the weather drivers of land surface phenology (LSP) across the entire European forest, while at the same time it establishes a new conceptual framework for modelling LSP. Specifically, a sophisticated machine learning regression method (RF) was introduced for LSP modelling across very large areas and across multiple years simultaneously. The RF models explained 81 and 62 % of the variance in the spring and autumn LSP interannual variation. Hydroelectric reservoirs in the tropics emit greenhouse gases but also bury carbon in their sediments. We investigated the efficiency of organic carbon (OC) burial in a large tropical reservoir, using spatially resolved measurements of sediment accumulation, and found that more than half (~ 57 %) of the OC deposited onto the sediment is buried. This high efficiency in OC burial indicates that tropical reservoirs may bury OC more efficiently than natural lakes. Bimodality is found in aboveground biomass and mean annual shortwave radiation in West Africa, which is a strong evidence of alternative stable states. The condition with low biomass and low radiation is demonstrated under which ecosystem state can shift between savanna and forest states. Moreover, climatic indicators have different prediction confidences to different land cover types. A new method is proposed to predict potential land cover change with a combination of climatic indicators. Our ability to predict the magnitude and geographic pattern of past and future fire impacts rests on our ability to model fire regimes. A large variety of models exist, and it is unclear which type of model or degree of complexity is required to model fire adequately at regional to global scales. In this paper we summarize the current state of the art in fire-regime modelling and model evaluation, and outline what lessons may be learned from the Fire Model Intercomparison Project – FireMIP. We studied the responses of larvae of Macoma balthica to a range of future CO2 scenarios using large mesocosms encompassing the entire pelagic community. We focused on the growth and settlement process of M. balthica when exposed to future CO2 levels, and found the size and time to settlement to increase along the CO2 gradient, suggesting a developmental delay. The strong impact of increasing CO2 on early-stage bivalves is alarming as these stages are crucial for sustaining viable populations. Natural variability of the North Atlantic carbon cycle is modeled for 1948–2009. The dominant mode of surface ocean CO2 variability is associated with sea surface temperature (SST) variability composed of (a) the Atlantic Multidecadal Oscillation (AMO) and (b) a positive SST trend. In the subpolar gyre, positive AMO is associated with reduced vertical mixing that lowers pCO2. 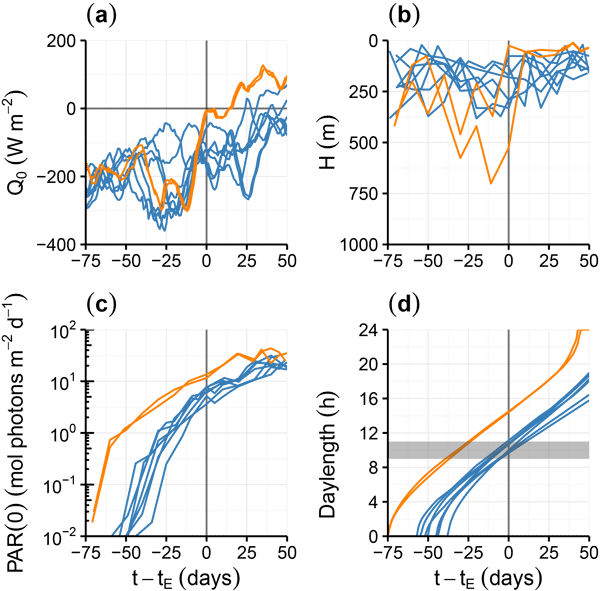 In the subtropical gyre, AMO-associated warming increases pCO2. Since 1980, the SST trend has amplified AMO impacts. This study explores heterogeneity in 14C content of soil organic matter (SOM) at different spatial scales and across climatic and geologic gradients, which is essential for a better understanding of SOM stability. Results reveal that despite dissimilar environmental conditions, 14C contents in topsoils is relatively uniform and 14C trends with depth are similar. Plot-scale variability is significant. Statistical analysis found a significant correlation of 14C contents (0–5 cm) and temperature. In this study we present results from the first long-term bioerosion experiment (1–14 years of exposure) outside the tropical realm. A novel micro-CT approach was used to visualise and to quantify the development of macrobioerosion traces. After 14 years, 30 % of the original substrate volume was excavated chiefly by sponges. High spatio-temporal variability prohibited clear conclusions about the onset of macrobioerosion equilibrium conditions, calling for further long-term experiments. The origin of N which contributes to N reserves of trees in autumn and to the growth of new organs the following spring is currently poorly documented. The metabolism of various possible N sources (plant and soil) was characterized in sessile oaks. Results revealed that in autumn, roots’ N reserves were formed from foliage N and to a lesser extent from soil N. The following spring, N used for the synthesis of new leaves came first from stored N and thereafter from N uptake from soil.